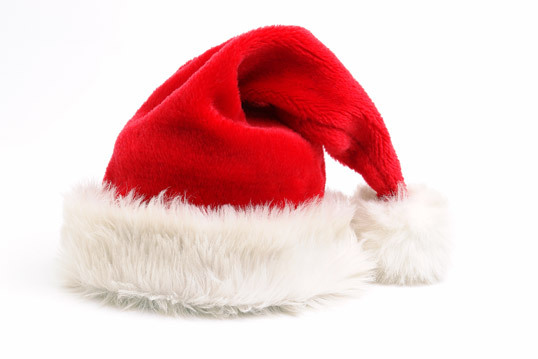 Wishing all readers a merry Christmas and very happy New Year from the Marketing and PR blog. See you next year! As we edge nearer to the Christmas break, cards and gifts have begun to arrive at the office and dinners/lunches dominate the work diary. It really is a rather lovely time of year! But how do you decide who to just send festive greetings to and who to spoil with something really special? Most PR and marketing firms will send champagne, chocolates or something personalised by the agency to their clients at Christmas as a thank you for their continued support, while others will invite them out for dinner or drinks. How much a client has spent that year will often determine the nicety of the restaurant or calibre of the gift, though! When I received an email stating I would not receive a certain Christmas card this year because the money had been donated to charity instead, I began to wonder whether we should still expect such gifts when economically things are rather tough. Would we stop working with an agency if they didn’t send anything? Would we prefer to receive a discount on 2011’s service charge instead, perhaps? 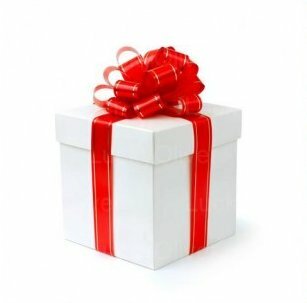 I don’t doubt that agencies will continue to say “thanks” with a present or dinner (or both!) at Christmas, but I wonder whether we might see a slight tightening of the purse strings during the course of the year (cheaper restaurants / slightly less extravagant gifts) as people try to save a few pennies wherever they can. Controlling the story – can it be done? I absolutely adore the TV series The West Wing and have often found inspiration for my blog and my work by doing nothing more than sitting on the sofa, kicking back and watching an episode (or two). My latest line of thought to be triggered by the show was all about “controlling the story”. The White House press secretary C.J. 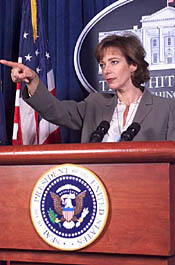 Cregg is most often featured handling difficult situations and potentially damaging leaks by ‘managing’ the story from the moment that it appears on her radar. Fictional or not, the character’s unquestionable relationships with the White House press corps means that the journalists will often go to C.J. with a quote or information about The White House / the President before they take it to their editors. If there’s even the slightest chance that it will be damaging to the party, the press secretary will (quite incredibly) normally hear about it first. While she can’t always stop them running the story, being able to prepare a response and warn the people involved ahead of time is absolutely invaluable. PR professionals, however good, are rarely able to kill a story that’s got the potential to cause a significant stir and get the journalist a front-page byline. But, knowing what’s being written about your client, your company or yourself can help you stay one step ahead of the press and prepare for whenever the storm might hit. Would you – and should you – ever trust an “unnamed” or “unconfirmed” source? I was (rather unusually) flicking through a glossy, weekly magazine the other day and found myself reading quotes from an “unnamed source” time and time again. I questioned each one’s credibility and marvelled at how full-page stories were created around them. But, if I was a regular reader, would that disbelief disappear? Is the frequency of their inclusion a sign that a specific set of magazine readers are happy to accept stories based on rumor and gossip? Could it actually be what they demand? A movie released in 2000 called “Gossip” carried the tagline: You Know You Love It. Whoever came up with that was clearly very wise. 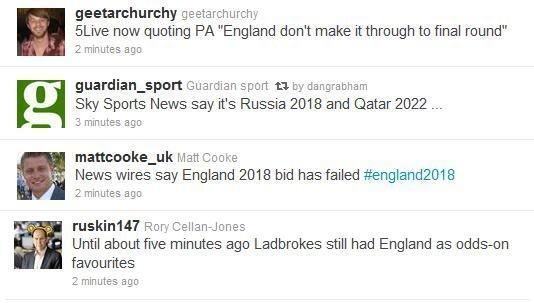 Ahead of the official World Cup 2018 announcement today, the Sky News team discussed at length “unconfirmed” reports that the England bid had been rejected during the first stage of voting; BBC Radio 5 live also prematurely quoted Spanish reports that (correctly) claimed Russia had been successful. Whether it was all a result of the delay of the official announcement, or simply an unfortunate and very public leak, the power of speculation was overwhelming. People clearly love rumor and supposition, so will more of our news be delivered this way in the not so distance future?